Dr. Tebyanian is married with three children. In her free time, Dr. Tebyanian enjoys traveling, family gatherings, shopping, and design. 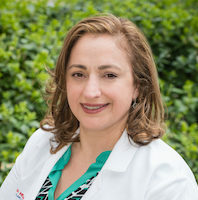 Dr. Tebyanian attended the George Washington University School of Medicine for her medical school and completed her residency in internal medicine at the University of Maryland Medical Center. 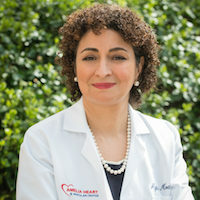 Dr. Tebyanian’s fellowship training in cardiology was completed at the University of Maryland Medical Center. Dr. Tebyanian is board certified in Cardiology and is expertly trained in Metabolic Disorders and Obesity Management. She is also a Fellow of the American College of Cardiology. Her current research interests include endothelial function, coronary disease in women, and preventative cardiology.